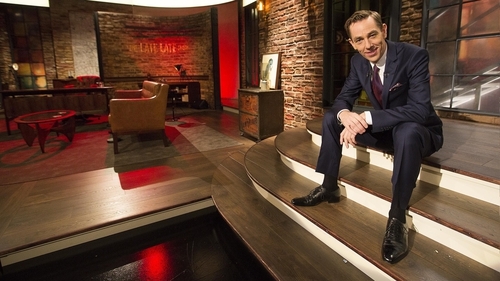 This week's Late Late Show line-up has been revealed, with Dermot Bannon and impressionist Conor Sketches among the guests. Host Ryan Tubridy will be joined by celebrity architect Dermot Bannon who will be talking about his new four-part series, Dermot Bannon’s Incredible Homes. He'll be comparing and contrasting how people live in different cities around the globe such as Sydney, London, Melbourne and Sweden. Known for his impressions of some of the sporting world’s best known characters including Joe Brolly, Davy Fitzgerald and Tiger Woods, Conor Sketches will be chating about his rise to success, and how his impressions helped to secure a gig with a major US TV network. Galway hurler Davy Glennon will also be on talking to Ryan, opening up about how he hid a chronic gambling addiction from his friends, family and employers before a life of lies caught up with him. The All Ireland winner will discuss the events that led to him receiving 240 hours of community service, and how his life has changed since coming clean about his addiction. Gillian Quinn will chat to Ryan about her journey from leaving education at the age of 14, to being inspired to go to college after her husband Niall Quinn received an honorary degree a few years ago. The Late Late will also celebrate the best of new Irish Enterprise with some of the inventions and products set to make a mark in the coming year. They'll be looking at a new GAA training tool, an innovative way of farming, and a very unusual memento to remember loved ones who are no longer with us. The Late Late Show airs on RTÉ One on Friday, February 1 at 9.35pm.